This workshop looked in detail at a historical script – the forerunner of the uncial scripts. 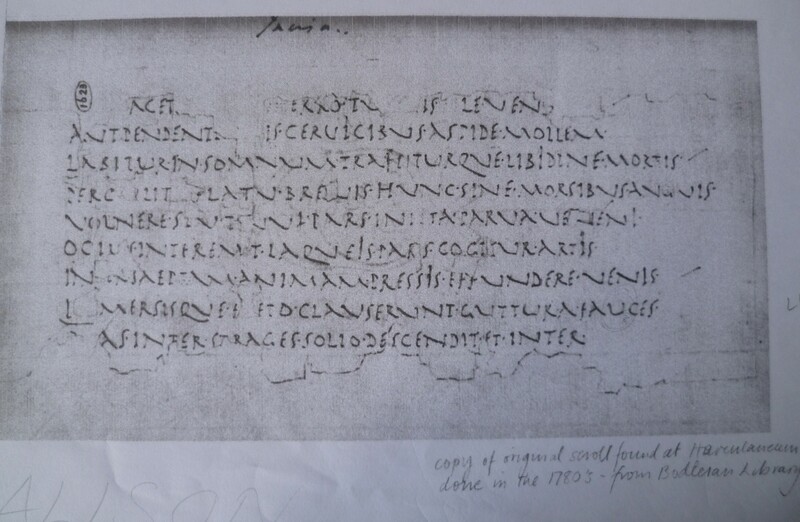 The script Helen used as her starting point was derived from an example found on papyri discovered at Herculaneum in the Villa of the Papyri in Italy. The papyri were badly damaged in the eruption of Vesuvius in AD 79 and the hand we were looking at came from a just a scrap that had been copied by hand at the end of the eighteenth century and preserved in the Bodleian Library.